Show off your skills on the court with this Wisconsin Badger basketball! The UA gripskin ball makes it easy to pass and catch. This ball features 5 autograph panels and a Wisconsin motion W making it perfect for family fun day! The offical size 7 ball is perfect for ages 13 & up. Better grip, deeper throws, and fewer drops; this UA gripskin football will make you feel like a Badger on game day! Made with the UA advanced composite leather cover to deliver enhanced performance and durability. The printed motion W on the side pops on the black ball with red detailing. This football also features Thermo Plastic Rubber laces for maximum comfort and control. The junior size is perfect for ages 9-12 or grab a silver sharpie and get it signed at the next UW event. Cheer on the Wisconsin Badgers in this cute Jump Around t-shirt! The soft material is made of charged cotton so it feels great while still wicking away sweat. The front features "Jump Around" and the Wisconsin motion W printed in a fun font. This hoodie will keep your little Badger fans warm all season long! 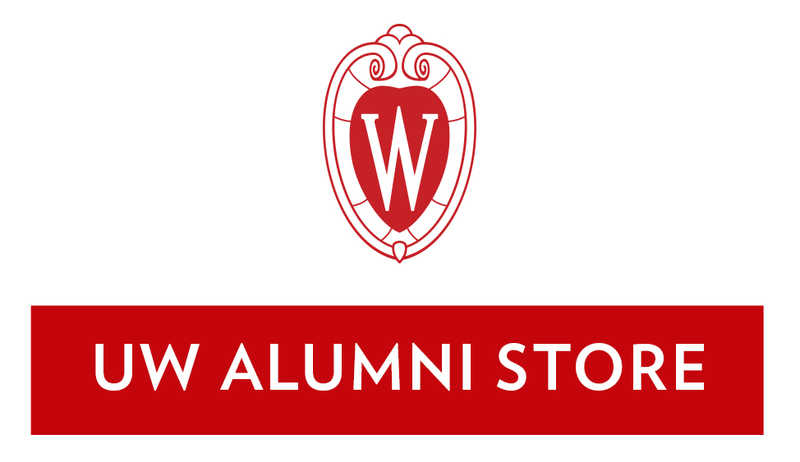 The front features a printed Bucky Badger face, complete with a grey striped design. This sweatshirt is perfect for sporting events or school!